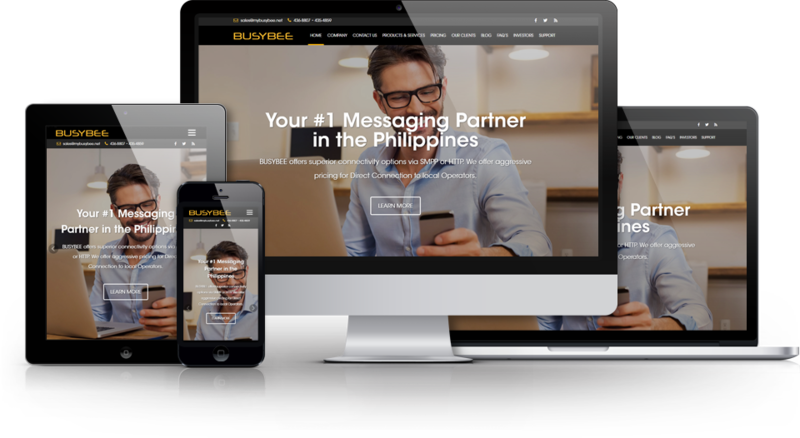 BUSYBEE offers professional website design and development services to help you successfully plan, create, maintain, and market your products and services effectively. Our strengths include fresh and creative graphic design, solid information architecture, and useful web interactive features including blogs, polls, e-newsletters, message boards, and forums. Our web development team uses a combination of Microsoft Visual Basic, Active Server Pages, SQL Server, and straight web design to create pages that efficiently work in almost every browser. We also boast products that look clean, load fast, and are a breeze to navigate so your customers can quickly and easily find what they’re looking for. Busybee offers a wide range of web development services, performed by our highly-skilled professionals. The latest graphic and web design techniques tailored fit for your website’s needs and customer satisfaction..
We create, maintain, and revolutionize your website to keep up with the latest demands in the digital world for you to be able to market your products more effectively. Busybee offers a wide range of designs that match your taste but in no way compromise the site’s responsiveness, whatever platform is used. Keep your corporate image intact, your search engine rankings moving up, and customer interest at its peak with quality website maintenance. We provide professional advice in selecting the most attractive, catchy, and practical domain names. We also help your business find the best host possible for your business’ specific demands. Climb up the search engine rankings with a website that considers the critical search engine requirements. Not only you have a functional website, you also positioned yourself to be seen by more people and potential customers. Our systematic process of web development makes sure you will get the website you exactly need. We conduct a data gathering on your website, it’s vision, tone, color, etc., to make sure that the website’s appearance, functionality of pages and other elements will match. From the data gathered, we will create a mock up design. We apply everything we’ve learned about your website, as well as your own input for it to match your desired look and feel. Approved mockup design will now be converted to live using clean, elegant and efficient code. Carefully chosen texts, graphic elements, functionality, and more, each with their unique purpose and in proper placement – are put together for a modern, user-friendly, and easy-to-navigate website. We test the site for bugs or problems that may occur. The site will be scanned detail by detail to fend off any possible hack or mishap along the way. Once testing is done we will proceed to the last step which is the deployment or delivery of the project.